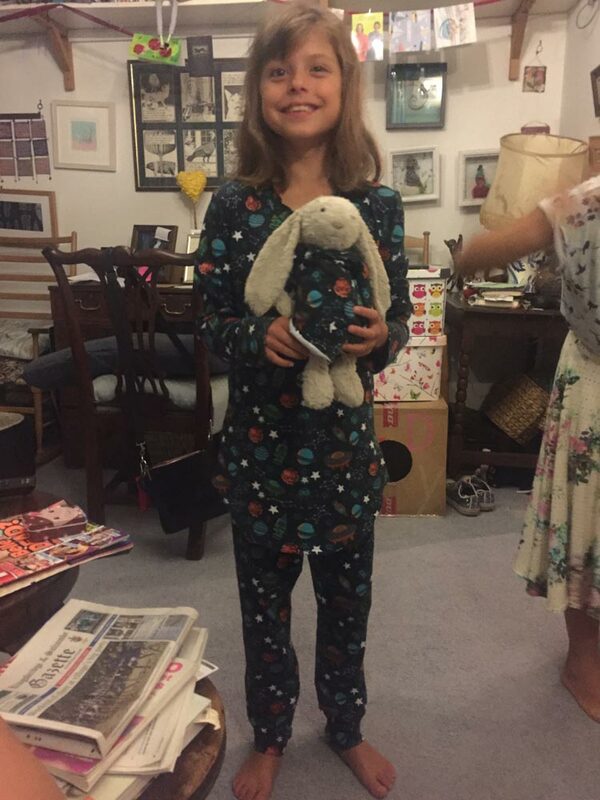 Miaow made these space print cotton jersey pyjamas with a little help from Granny (Jane). Hardly any help really, Mia pinned out the pattern onto the fabric, cut them out, overlocked them together and even made ‘Arfur’ the rabbit a matching nightshirt and nightcap. The only thing Jane did was hem them (which she did because they needed to be done TONIGHT and Miaow didn’t have time). Miaow is 8. When she grows up she wants to be an astronaut. The pattern is McCall’s M7499 (discontinued but similar things are available).